In the ERC study, cabbies passed blind customers for sighted passengers 50 percent of the time. Seeing person or blind person with a guide dog? 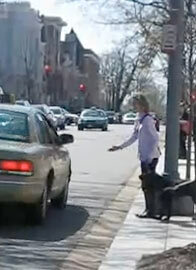 A recent civil rights watchdog group study showed that D.C. cabbies will pass by the blind person and their dog in favor of a sighted person down the road 50 percent of the time. Busted! The Equal Rights Center study was based on 30 tests in the District. A blind person with a service dog was placed up the street so they would be seen by the cab driver first. A person who wasn't blind and didn't have a service dog stood on the same side of the street after the blind person. In 15 of the 30 tests, the cab driver drove past the blind person and picked up the sighted person without the dog. In three of the tests, the cab driver attempted to add a surcharge to the blind person's fare for transporting the dog. 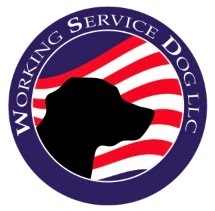 Under ADA and D.C. law, charging people with disabilities or service animals extra is illegal. The secret is to not let them get away with this kind of discrimination.